It's now five years that Whitestar had been created. Every week, I'll share a Chapter of our Story. I hope our newest members will find amusing and interesting to learn how everything started. Last week, we learn how Whitestar had been created for the very first time. Whitestar is born when Tintam Spindlefirework and Elenoza Whitestar assisted to the fall of Bolvar Fordragon along the Wrathgate battle. Tintam, was admiring her hero with such passion that she could not accept his death. She wanted create a organization of heroes which would follow the path of Bolvar Fordragon. This purpose fit the aspiration of Elenoza, who came in Northrend with her twin sister Eledeza to help the world of becoming a better place. 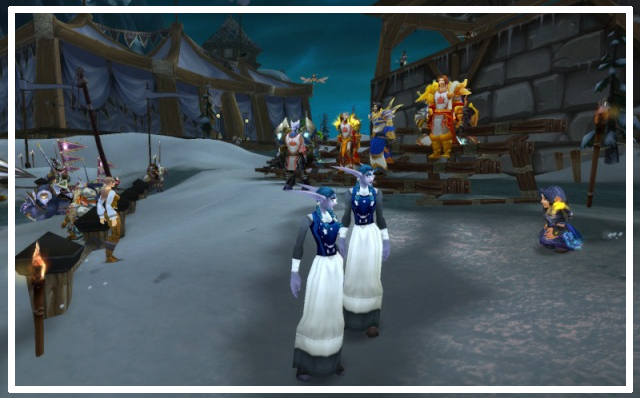 "A place to call our own..."
Close to be called <Bolvar's fan club>, the organization had been named Whitestar because of the family tabard tailored by Eledeza. It represent a dark sky sparkled by stars. More there is stars shinning in the sky, more Hope and Joy can make the world brighter. DefiasBrotherhood was back in the days, a very popular and active Roleplay server. The community was deeply involved. I didn't had roleplayed since I left Scarshield Legion and The Darnassus Sentinels, and I fancied to go back to my roots. We decided that Whitestar would be a roleplay raiding guild, a concept that was missing on Roleplay servers. An organization of heroes adventuring in dark Dungeons to save the world! I initiated @Internet and our friends @Sharlena and Murhammies that were not roleplayers, we recruited several persons interested by the concept, and soon @Alakina joined us as Alakina Aisling the reporter adventurer! We had regular gathering in the Inn of Dalaran, our head quarters. We hosted our first expedition in Naxxaramas, and we organized a big Tournament on the Argent Crusade Ground. That event was very successful. A lot of roleplay guilds, both from Alliance and Horde joined to compete. And Alakina was present to interview all participant and write the very first Whitestar Magazine. But roleplaying while raiding was more difficult than we were expecting, and the interest slowly faded away. The guild that were very small, became inactive, and Internet and I missed more serious raiding. After a long period of inactivity, we decided to leave Whitestar as small quiet guild of friends, and we researched a good raiding guild that would be friendly and competent in the same time for our priestess. We found a Horde guild that pleased us both and that would allow us to progress through Icecrown Citadelle: Luminous Path. In this guild we made the acquaintance of a Blood Elf mage: @Savian. It's now five years that Whitestar had been created. To celebrate this and remind us old memories, every monday, I'll write a small Chapter of the History of Whitestar. I hope our newest members will find amusing and interesting to learn how everything started. I also encourage our old members to share their memories and their version of the facts! When @Internet and I fall in love in Autumn 2009, it created a big shockwave, both in real life and in game as you may guess. 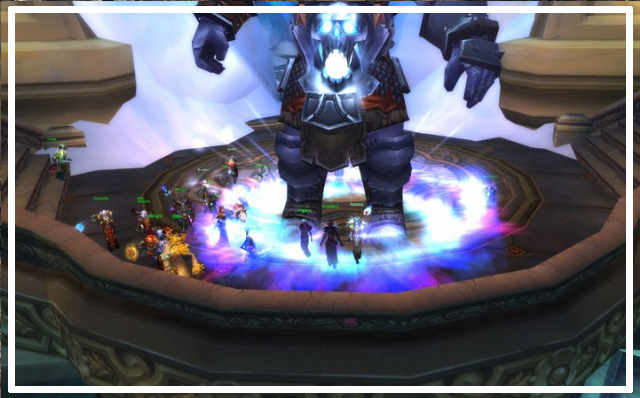 Wardens dismanteled and most players where shattered in different guilds or servers. Internet and I followed Aegis and transfered to DefiasBrotherhood. It was some very happy and very dark time at once! We created a guild for ourselves that we called Whitestar. The name had a special meaning to us, and it felt a good surname for our twin Kaldorei priestess. We had no place where to be together, we were living appart, and it was troubled time. I created a forum for our personal use. So we would have a virtual space where to share ideas, projects, hopes... A place to call our own. We also decided to invite our friends from Wardens, with whom we didn't had any contact anymore. Consider this as a comfortable lounge in a little house lost somewhere between dimensions. It’s warm, quiet, peaceful, joyful… everything you wish. Be welcome here, we have cookies and hot chocolate ! Every time you have time to lost, an irrepressible desire of spamming and trolling, every time you are bored at work, stop by here, and enjoy ! You can speak about anything you want, share some news, ask for news… This place had been created to keep in contact wherever we are going, in all dimensions. 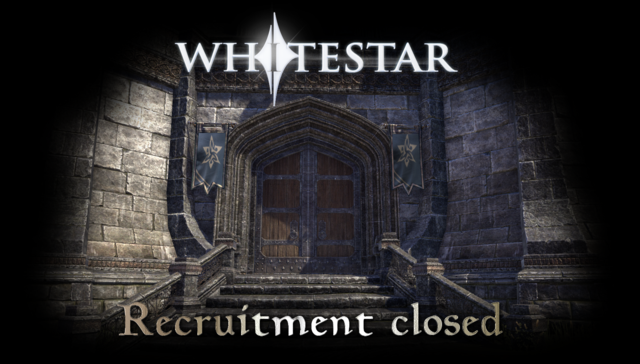 [ESO] We close our recruitment! Our main goal in Whitestar has always been to offer a nice, warmhearted, kind and cozy place for our members to play their favourite game. For this reasons, our recruitment policy was to be slow and carefull. In has taken us a long time to grow our ESO playerbase enough to have the dynamic, active and fun guild we dreamed. Today, we believe we have achieved that goal. We have gathered wonderful members with whom we can spend long evening of adventures and fun! Therefor we have decided together that we will close our doors for a time, and concentrate on discovering each others, leave us the time to build friendship, and learn how to teamwork together. We have taken down the Today I Play aka TIPs for a week to see if they were missed. And we are happy to see that several of you have asked after them. So we will bring them back. But it will be done slightly differently. It's an advert for the day events if there is any. It's a tool to team up with other players in the game you play. It's a "chat box", a "poke-tool" to interact with other members even if you do not play the same games. The Council is sharing the task. We all have our days. But we would like to open the possibility to our members to participate! To encourage our artist to add their touch in Whitestar, we are opening the TIP Bank. This will be a thread where we will stock your creations. And once in a while, we will pick up a TIP and use it in front page featuring its author name! We found this the best way to let our members partcipate to the TIP buisness without having to stress anyone with schedule and delay. How to create a TIP? There is no style imposed! Your imagination is the limit! We only ask that you keep it "Whitestar" or "Gaming" related, and that you include Today I Play. Once you have created your TIP, post it in the TIP BANK in the MEDIA forum. The Council will pick up your creation once needed!